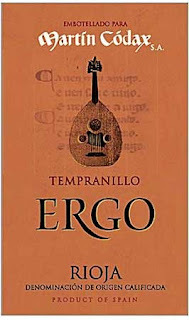 I agree with you, but have you tried the fantastic white wines from Galicia, Albariño grapes based, from D.O. Rias Baixas? For me they are perfect for a summers season! 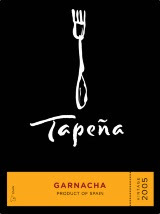 I am going searching for the Tapena Grenache tomorrow... sounds delicious! I love Spanish wines, haven't had any of these but will definitely be checking them out. 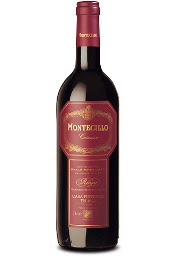 Recently had a great Campo Viejo Gran Reserva for less than $20. Gotta love Tempranillo and Grenache, I hope that once the secret is out, they remain affordable. this blog post has perfect timing. not only is a wine superstore opening near my house tonight, but i was looking for a good red to eat with the grilled lamb chops i'm making later. wee!!! thank you! i do love spanish reds. i meant, a good red to drink with the lamb chops. heh. my excitement got the better of me. Thank you. You are spot on about the summer appeals of Spanish wines. You're timing for this post was perfect as I have made plans for tonight's wine choice as a result. I love Grenache and Tempranillo in the summertime or anytime! haha Bodegs Atteca makes a $8 Grenache and it's big brother $16 that are steals. The little brother is Garnacha de Fuego and the big brother is just Atteca I believe. Thanks for the tip on the Montecillo. I picked up 2 bottles @$8.99 based on your rec, and am enjoying the first one right now. You nailed it in your notes. How do you go beyond excellent QPR? Tried the Tapena and I agree good wine. Especially for the price. Thanks for the recommendation. I had seen it around and you pushed me over the edge to buy it! If you like Spanish wines, you will be looking to buy them at the best possible price and that too from a store that has credibility, and can deliver the goods, time and time again.